Ever wondered why products are designed and built the way they are? 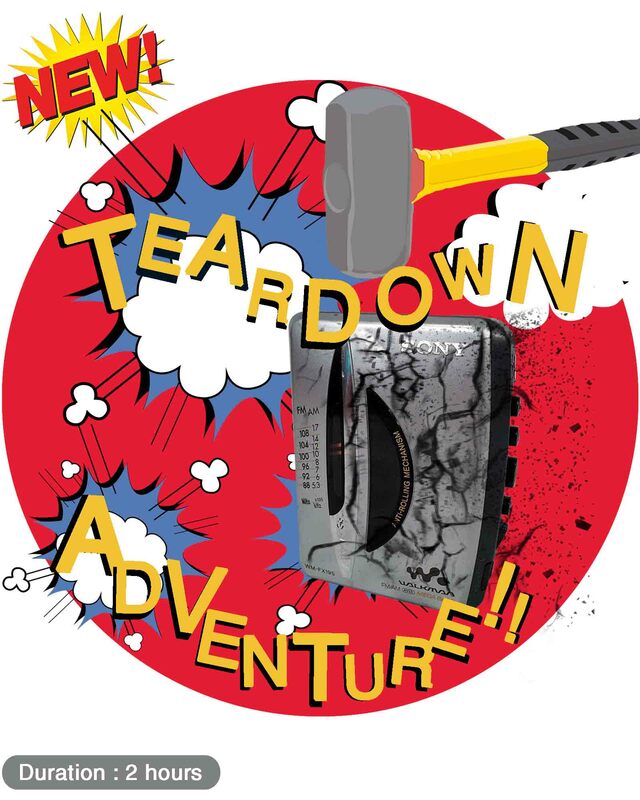 The Teardown Adventure! workshop at D-hive aims to answer that very question. This session helps you know the product inside out.. Literally through teardown of handpicked products. And by the time the session is over you can be sure to have acquired insights on materials, finishes,processes and engineering know-how to put to use in your next design exercise. Limited entries. Admission open to registered participants only. For queries, feel free to get in touch with us. D-Hive is a Design Workshop based activity that happens every weekend at Teqzo Consulting. This is an initiative by Gemklip.com in collaboration with TEQZO Consulting to inspire design students & enthusiasts to meet up, interact and share best practices in design. Although the focus is product design, general design activities will also be covered. The studio opens itself to outsiders from 10am to 6pm on all Saturdays throughout the year. Workshop co-ordinators will engage the visitors through exciting and adventurous workshops, hands on activities, experimental design sessions and many other fun filled stuff. The visitors can also make use of the studio library spend time with high quality design literature. Focus sessions are held at a specific time on these weekends. These focus sessions may involve presentation, materials and demonstrations. Hence registration is required to reserve your seats. Registrations is limited to only 10 applicants.